To be honest, when it comes to tattoos, there’s only one thing that I like more than actually getting tattoos, and that’s writing about tattoos. 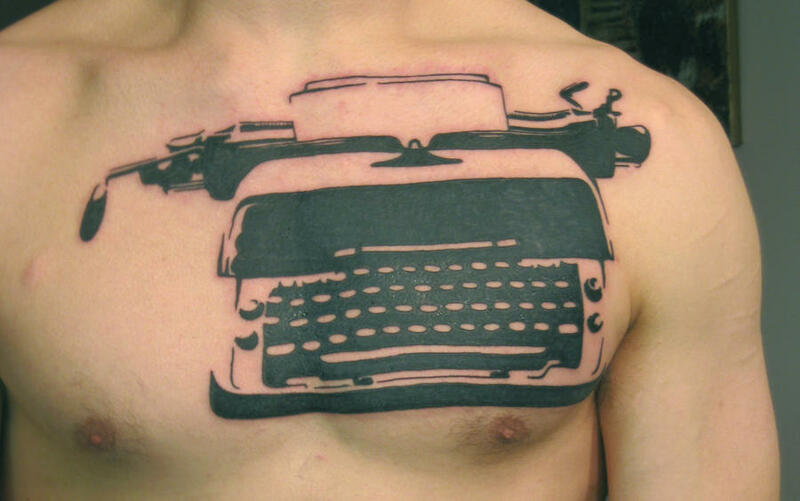 Yeah, that may seem strange to many of you, but writing is my passion in the way that a tattooist’s passion is tattooing. So when the opportunity arises to write about tattoo, I take it. Aside from writing for the Tattoo Blog, I also write for UK tattoo magazine Skin Deep. My article on the state of tattoo ink can be found in the current issue of that publication. That’s my bit of shameless self promotion for the day. Anyway, as I was saying before I dipped into the realm of shameless self promotion, writing about tattoo is a great thing. Tattoo is about stories and sharing those stories, so writing just fits in with that formula. While not all of us are writing about tattoos on a regular basis, that doesn’t mean that there aren’t still great stories worth telling. That’s why the people at British newspaper The Guardian have put out the call for some tattoo stories from the public. You know that you have a great story worth telling, so what’s holding you back? Sit down, write down your story and send it off to the Guardian. Who knows? The pleasure of seeing your words in print might even end up giving you a bigger jolt of energy than tattoo!